We like thick steel at AJS Profiles. 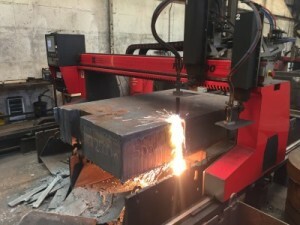 Our Beast machine can cut thicknesses above 700mm and the video below shows it cutting 500mm thick! !